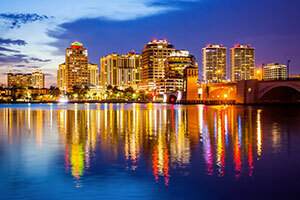 Contact West Palm Beach, Florida Personal Injury Attorneys Gerson & Schwartz, P.A. In 2015 over six million tourists visited Palm Beach County. This area is home to some of the Gilded Ages most captivating estates, restaurants, hotels, and upscale boutiques. The Palm Beach community was established by Henry Morrison Flagler luxury resort hotels, the Royal Poinciana Hotel, and the Breaker Hotel. Currently, landmarks, such as Henry Flager's former residence, now known as the Flager Museum attract tourists from all over the world year round. If you are visiting Palm Beach, you will be sure to enjoy your time here. However, if you are facing the perils of an injury during your stay, you should seek out legal representation immediately. A serious injury can be tough to deal with, especially when you believe someone else is at fault. At Gerson & Schwartz, our Palm Beach Personal Injury Lawyers work with injury victims throughout Palm Beach County. We have over forty of years of experience working with clients in this area. To schedule a free consultation with one of our lawyers, call our office today at (877) 475-2905 or send us an email through our online contact form. Unfortunately, a personal injury is not always temporary. Some injuries have permanent and lasting effects. For this reason, it is beneficial to hire a Palm Beach County personal injury attorney who understands the specifics of the law and who has experience fighting for just compensation for their clients. A Gerson & Schwartz, our Palm Beach County personal injury attorneys have over 40 years of experience fighting for compensation for our clients. If you have been injured, you might be able to receive compensation for your damages. Reach out to a Palm Beach County personal injury lawyer today by calling (877) 475-2905 or You can also reach us through our online contact form. How Can a Palm Beach County Personal Injury Attorney Help? When you’ve been hurt by someone's else’s careless action’s the last thing you want to be worried about is navigating your way through courtrooms and dealing with the defendant’s insurer on your own. You want an attorney who can help to take care of all the negotiations, paperwork, and procedural matters. More importantly, you want the support of an experienced lawyer who will advocate for your best interests. At Gerson & Schwartz, we take the necessary steps to investigate your claim. This may include researching the evidence, interviewing witnesses, and advocating for your case if it goes to trial. We will keep your very best interest in mind so that you can focus on your recovery. Florida law gives injured victims a short window to bring a lawsuit. The Palm Beach personal injury lawyers at Gerson & Schwartz are here to help. We have over 40 years of experience handling personal injury cases and are proud to serve the community of Palm Beach County. We offer all of our clients a free consultation and personalized service. Reach out and call today at (877) 475-2905 or contact us through our online form.